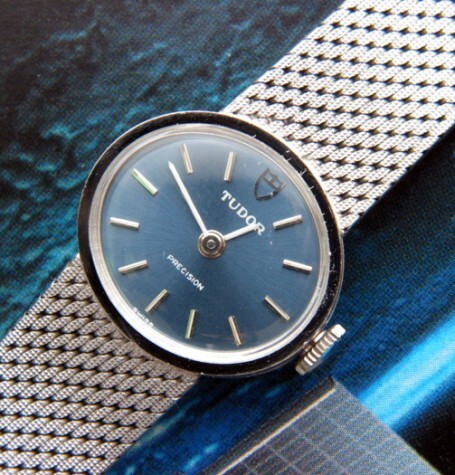 Home/Shop/Tudor/Tudor solid white gold ladies watch, brand new old stock. 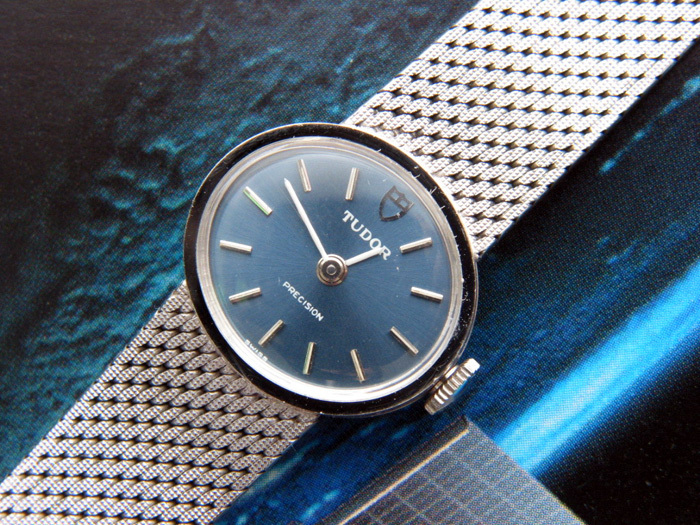 A brand new ladies Tudor cocktail watch, circa 1970’s or 1980’s, with solid gold case and bracelet. 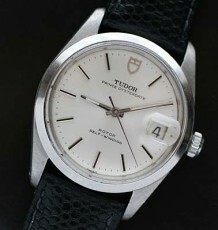 Once again we are pleased to offer a brand new old stock Tudor ladies cocktail watch. The watch features a lapis blue colored dial which contrasts nicely with the white gold case material. 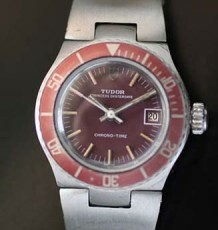 As the watch is brand new, it is void of any dents or dings and the Tudor signed 17 jewel manual wind movement is untouched since leaving the factory. 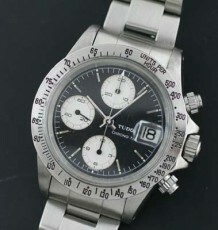 The watch will be serviced by my Rolex trained watchmaker prior to delivery. The bracelet is long enough to accomodate a 7 plus inch wrist but can be shortened to fit. 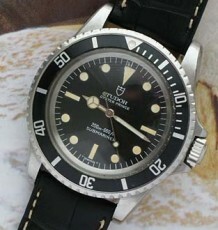 The case and bracelet are hallmarked Rolex SA and signed Tudor inside the caseback.